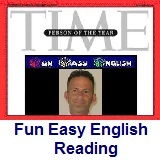 ﻿ Fun Easy English - reading practice and learning about the holiday United Nations Day. In 1947, the United Nations General Assembly declared 24 October, the anniversary of the Charter of the United Nations, as which "shall be devoted to making known to the peoples of the world the aims and achievements of the United Nations and to gaining their support for" its work. In 1971 the United Nations General Assembly adopted a further resolution (United Nations Resolution 2782) declaring that United Nations Day shall be an international holiday and recommended that it should be observed as a public holiday by all United Nations member states. United Nations Day is devoted to making known to peoples of the world the aims and achievements of the United Nations Organization. United Nations Day is part of United Nations Week, which runs from 20 to 26 October. United Nations Day has traditionally been marked throughout the world with meetings, discussions and exhibits about the achievements and goals of the organization. In 1971, the General Assembly recommended that member states observe it as a public holiday. Several international schools throughout the world also celebrate the diversity of their student body on United Nations Day (although the event is not necessarily celebrated on 24 October). Celebrations often include a show of cultural performances in the evening and a food fair, where food is available from all over the world. In the United States, the President has issued a proclamation each year for United Nations Day since 1946. The most recent such proclamation was issued by Barack Obama. United Nations Day is important since it reminds us that we are all part of an international community know as humanity. Hopefully someday people of the world will learn to accept each other and not discriminate based on cultural, religious, and racial differences. 1. In 1971 the United Nations General Assembly adopted a resolution declaring that United Nations Day shall be which of the following? 2. When is United Nations Week? 3. United Nations Day has traditionally been marked throughout the world with all but which of the following? 4. The General Assembly recommended that member states observe United Nations Day as a public holiday in which of the following years? 5. In the United States, the President has issued a proclamation each year for United Nations Day since which of the following?